Picture Costs are in addition to the text price. Pictures and text can be changed as many times as you like. This ad has been seen (3201) times and detail pictures have been accessed (22) since being placed. This ad has (6) pictures associated with it. Click the image to see a larger version, and all ad pictures. This ad has been seen (1528742) times since being placed. ***Authorized Enderle Dealer*** - Email us with your needs and we will provide a quote to you. We will supply Fuel Systems that are tailored to your needs. Very Competitive Pricing - Will ship World Wide. This ad has been seen (276867) times since being placed. Canyon Marine is an authorized Casale V-Drive repair station. Call Canyon Marine at 661 510-6362 and ask for Dan. This ad has been seen () times since being placed. This ad has been seen (103453) times and detail pictures have been accessed (379) since being placed. This ad has (1) pictures associated with it. Click the image to see a larger version, and all ad pictures. Now taking orders for the all new River rat water pump in in production all new tooling, solid billet construction CNC machined released at the introductory offer price of $499.00. For your boat, race car, or street rod. 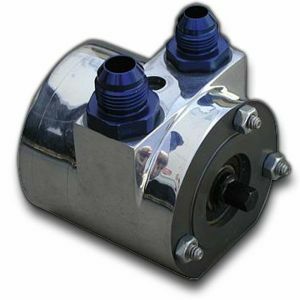 It is stackable with an Enderle or Hilborn fuel pump and can replace a fuel pump extension. Comes with -10 inlet & -8 outlet fittings. Polished finish. This ad has been seen (6703) times since being placed. 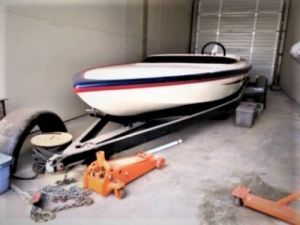 Kurtis 500/501 Drag Boat on dolly trailer (dolly trailer has chrome wheels) 500 deck with 501 bottom with deepened sponsons (1") Complete, ready to run except for 2 engine parts. Lenco, 2 speed with dual sprags Hemi installed in boat with drive-line, etc. 542 cubic inch, (4.310' bore X 4.625" stroke) TFX +.100 tall, AJ stage II hemi heads NEEDS magneto and coil (has new mag drive) and fuel pump (fuel pump extension + band clamp is installed $23K for all Pictures coming!